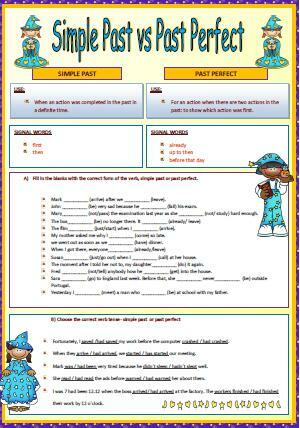 This is a simple worksheet contrasting the past simple and the past perfect tense. 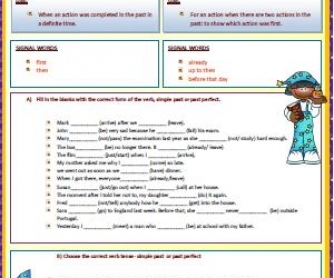 It includes explanations and example sentences at the top of the page followed by 2 exercises in which students are asked to fill in the blanks with the correct form of the verb, simple past or past perfect and choose the correct verb tense to complete each sentence. The worksheet is available in both colour and black and white version.